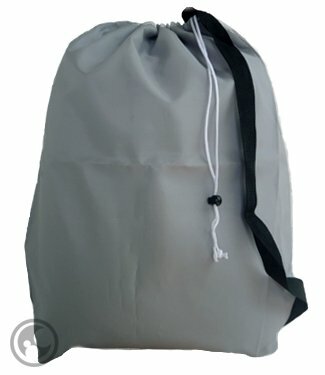 Our medium strap Silver/Gray laundry bag is made of a premium 210 denier nylon polyester fabric that is durable, long-lasting and tear resistant. Includes a convenient shoulder strap, locking drawstring and two hanging grommets. Ideal for college dorm rooms, small apartments and separating white and dark colored clothes. Capacity is 2 loads of laundry or about 20-26 lbs. (9.07kg-11.7kg) of clothes and measures 24 inches(60.96cm) wide by 36 inches(90.44cm) long. Machine wash cold, tumble dry low heat or air dry. Same colors available in both small and large sizes. (Search for B008O0X6ZO in Amazon Home & Kitchen for small and B008IK0DCO for large). If you have any questions about this product by Laundry Bag Store Online, contact us by completing and submitting the form below. If you are looking for a specif part number, please include it with your message.